Port Hope Dental's 10th Anniversary - Touchdown! 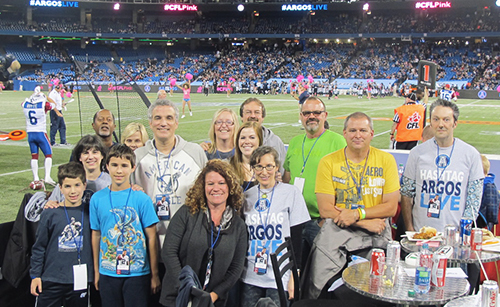 Dr. Jordan Benedict celebrated his 10th anniversary by taking his team and their families to the Rogers Centre for an awesome CFL game on Saturday October 18, 2014. The Argonauts played against the Montreal Alouettes and the final score was 20-12 for Montreal. Our fun night out included a delicious dinner, pictures with a few Argos cheerleaders and a surprise jumbotron shout out! Dr. B. even met Pinball and got to try on his ring. It was another great night with a great group of people! The holiday season is just around the corner and our team is holding a food drive in support of our local food bank. We are pleased to be collecting non-perishable foods, canned goods, and unopened toys between October 27th and December 12th, 2014. 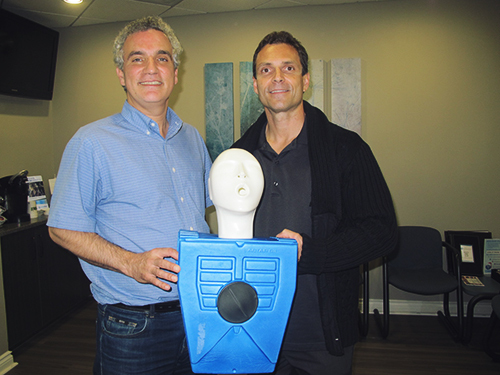 On Friday October 17th, Dr. Benedict and the team completed their yearly renewal of their CPR training. Mike, our instructor/fireman from Rescue 7, was back again this year and he definitely got the team all "fired" up to be top rate first aiders. Click here for more photos from our training session. 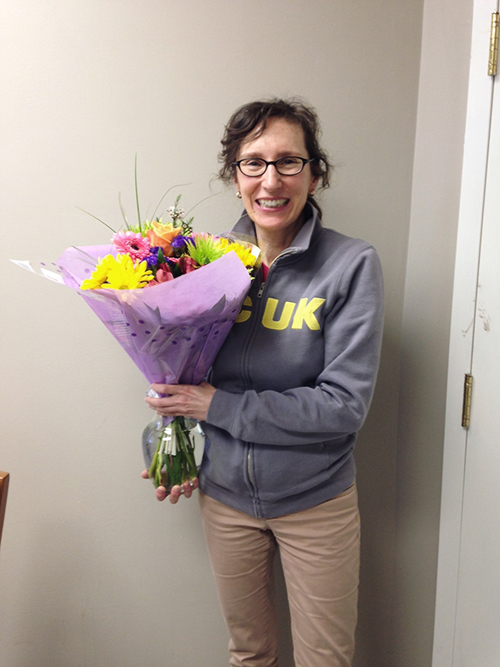 On Wednesday October 22, Dr. Benedict and his team celebrated Dr. Liz's birthday! We enjoyed lunch at Olympus Burger and it was filled with lots of laughs well wishes and delicious food! Are you hesitant to show your teeth when you smile? Is your smile missing something? Maybe even a full tooth? Click here for what dental implants can do for your smile! Got any extra, frozen holiday meat around and wondering how to put it to good (read: delicious) use? 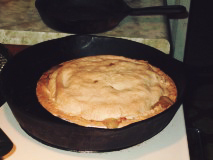 Berni's hearty and simple recipe will do just the trick!